STAR WARS: Episode VII - The Theories Awaken | Warped Factor - Words in the Key of Geek. With the imminent home release of Star Wars: The Force Awakens, a lot of theories and rumours have been plaguing my mind. Specifically about the main character, Rey and her currently unknown lineage. I personally feel that everyone is related to someone important in this series, and so Rey, clearly, is too. The only question; who? 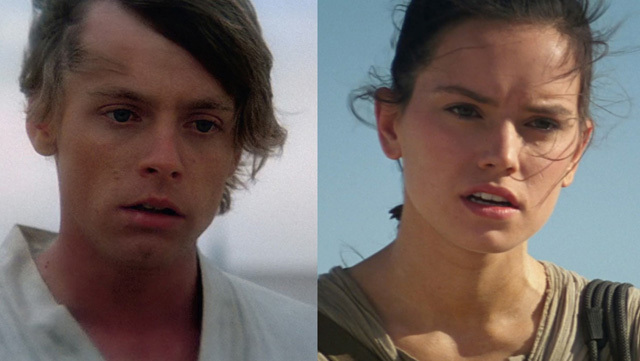 My first theory, created just after seeing the film for the first time, was that Luke Skywalker is Rey's father. To me, the whole lightsaber holding out and the staring contest scene was leading up to something huge and game-changing. I was almost expecting Luke to say something like 'You have your mother's eyes', alluding to the fact he's her father. However my main and current theory is that the mysterious Rey is actually a Kenobi, specifically Obi-Wan Kenobi's granddaughter. The lightsaber Rey touched in the small wooden chest, may have once belonged to Luke Skywalker, but it was previously Obi-Wan Kenobi's for more than 20 years before he passed it down to the young Skywalker. 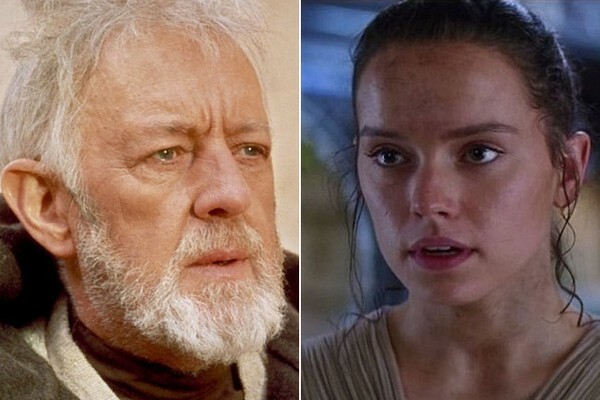 It also explains why Rey heard both old and young Obi-Wan's voices (Alec Guinness and Ewan McGregor: “Rey … these are your first steps.”) in her vision/flashback, which should not have happened if she was related to Luke Skywalker. You do hear Yoda and Luke, however, they are not nearly as prominent as Obi-Wan Kenobi. Rey being related to Obi-Wan Kenobi links so many different details and plotlines together, it actually seems like this is a realistic option. Firstly the specifics. Rey, after being captured by the First Order, uses the force to control the mind a Stormtrooper (JB-007; aka Bond. James Bond. Actual Daniel Craig). Remember the line; 'These are not the droids you're looking for' and the mystic hand movements? Courtesy of Oldbi-Wan Kenobi. They both have Coruscanti accents, that is basically really posh English accents, from the planet Coruscant - which is essentially Earth in the Star Wars universe. An accent that Luke Skywalker does not have and never has had. Obi-Wan and Rey are both great pilots. Rey proves this when she flies and fixes the Millennium Falcon in TFA, even though she had never previously flown a ship like that before. Obi shows this when he tells Qui-Gon Jinn (Liam Neeson) about what he needs to repair the Hyperdrive generator in Episode 1. Rey's time on Jakku can easily mirror Obi's exile. They share an understanding of Shyriiwook (what Chewbacca speaks) and can communicate to droids, whether or not Rey was taught by a Kenobi though, that's still just a theory. Oh, and think of the duels. We've already seen a snapshot of Rey's fighting style - one eerily similar to a certain Kenobi (I'm half expecting/half hoping Rey will dramatically shed her outer robes before fighting in the next episode). And think about the parallels, the parallels! In the originals, it was Anakin vs. Obi-Wan. In the reboots, Kylo Ren vs. Rey. Only Rey would bring Kylo back from the Dark Side (which will inevitably happen), the thing Obi failed to do with Anakin. Or we could bring in the idea of the two of them being Grey Jedi; neither on the side of the light or the dark. Rey and Kylo would bring balance to the force, which makes thematic sense in the long run if Rey is a Kenobi because the whole point of Star Wars was and is to bring Balance to the Force. Side note; The Force Awakens and A New Hope both have the exact same basic plot line. 'Droid trusted with secret plot device message. Child of mysterious origins stuck on a desert planet, finds a way off by getting into a war and realising his/her potential'. And Han Solo. Not to mention the Starkiller Base was literally just a bigger Deathstar. It even died the same way, by some X-Wing Starfighters blowing up the clearly marked weak point. Besides, having Rey either as a no name character, or as a Skywalker seems really boring, let's be honest. The Star Wars crew are known for their plot twists, and the Skywalker theory just seems a little too obvious. There's also the possibility of honouring both theories. That Rey's mother could have been a Kenobi, and Luke is her father. However, that seems a bit too much, in my opinion. And besides, it's not a Star Wars film without a Kenobi in the mix. Who else is going to deal with yet another whiny (and edgy) Skywalker? 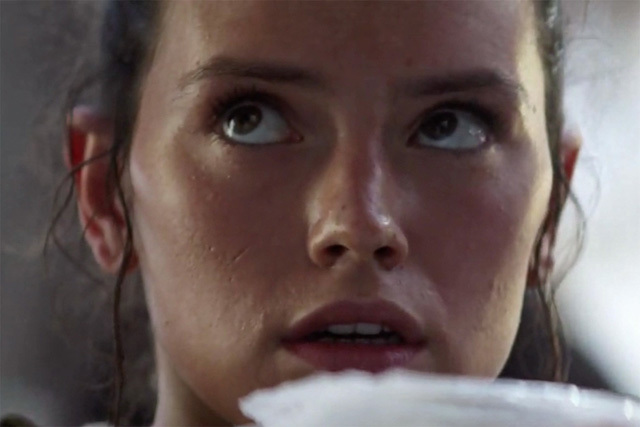 One thing I do hope from Episodes 7 and 8 is that Rey and Kylo do not end up as romantic interests. I'm all for her bringing him back from the dark side, but do we really need another 100% straight white couple in a film? The relationship between Kylo and Rey is based on a frankly dubious interrogation scene and riding on the coattails of Kylo's possible redemption arc, not to mention the fact that they are always fighting, physically and psychologically hurting each other. Besides, they're probably related somewhere down the line anyway. 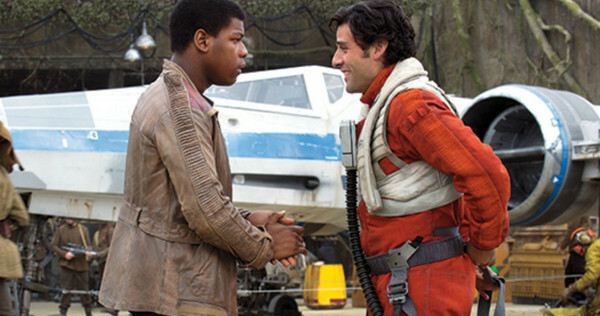 Poe Dameron and Finn are the number one power couple amongst the fans. Think of how awesome it would be to have a canon couple like this; a gay, interracial (black and latino) couple of guys in space. The scenes we see of those two characters have already attracted many fans, thus creating the (relation)ship name Stormpilot. 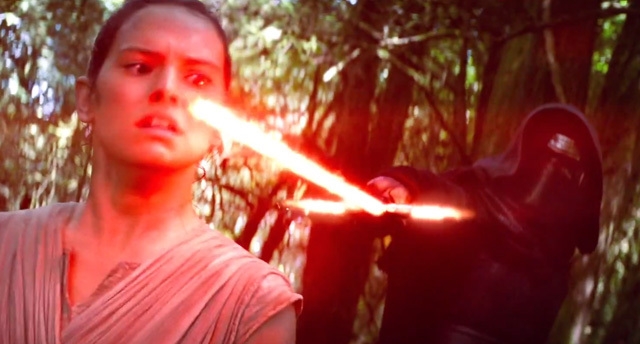 Even The Force Awakens director JJ Abrams has informed us that openly gay characters will be coming to Star Wars. Whether that'll be Finn and Poe, we can only hope. Surely it's time we allow for the main relationship in a storyline to be about the sidekicks rather than the antagonist and the protagonist? Isn't it time we celebrated diversity in the film industry, rather than making every character conform to outdated, unwritten rules of society?